Since 2010, Dr. Ryan has delivered state-of-the-art chiropractic care to practice members wishing to eliminate their pain, optimize their health potential and live a more rewarding lifestyle. He welcomes every member of the family, from newborns, infants and children, to parents, grandparents and moms-to-be. When Dr. Ryan was 8 years old, he experienced a violent collision with the boards while playing hockey. He began to experience intense upper back pain, and after finding no relief through physical therapy and medication, his coach referred him to a chiropractor. Dr. Ryan’s injury improved dramatically, not only did his pain disappear, chiropractic became a lifestyle for him and he continued to receive wellness care on a regular basis. When it came time to decide on a career many years later, he chose the profession that had added so much to his life. 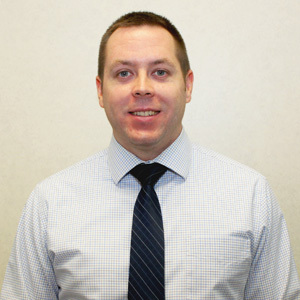 Dr. Ryan began his undergraduate studies in 2002 at the University of Windsor, graduating with a Bachelor of Human Kinetics. He received his Doctorate of Chiropractic and second undergraduate degree, a Bachelor of Science, from Logan College of Chiropractic in 2010. Shortly after graduation he joined the team at Westheights Chiropractic. He continues to keep current with all new facets of his profession through regular attendance at seminars and extensive postgraduate study. Dr. Ryan remains very active in sports. He plays hockey several times a week and is an avid participant in slo-pitch during the summer. He also loves to play golf, spend time in the outdoors camping, lend his support to community events, and spend time with his wife Sarah and two cats. Don’t delay your care! Reach out to us now to get started.